Linking the River Thames, meandering through some of the best countryside the UK has to offer, to the Bristol Channel in the west the Kennet & Avon Canal is an ideal choice for a boating holiday. The route cuts through the spectacular Avon Gorge and wooded hills, passing historic villages towns and cities on its way. 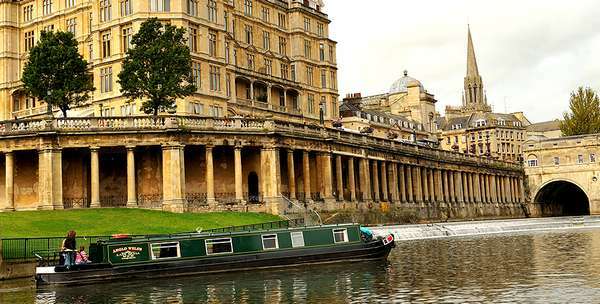 The most favoured part for holidaying boats links the beautiful city of Bath with Bristol. Each offers a considerable amount to see and enjoy, from Bath’s spectacular Georgian buildings and Roman Baths to Bristol’s rich nautical history and floating harbour. Bristol has many wonderful historic buildings also, the harbour has maintained old ships such as the SS Great Britain, the original iron steamship. Bath is a Roman spa town and contains numerous Roman remnants. It has a lot of eighteenth century architecture, such as the well-known Royal Crescent. Bradford-on-Avon also offers many Georgian stone buildings. Devizes has many Norman remains and medieval structures and of course Salisbury Plain with its Neolithic Age Stonehenge are near by. Along the way you will see some amazing examples of canal engineering. 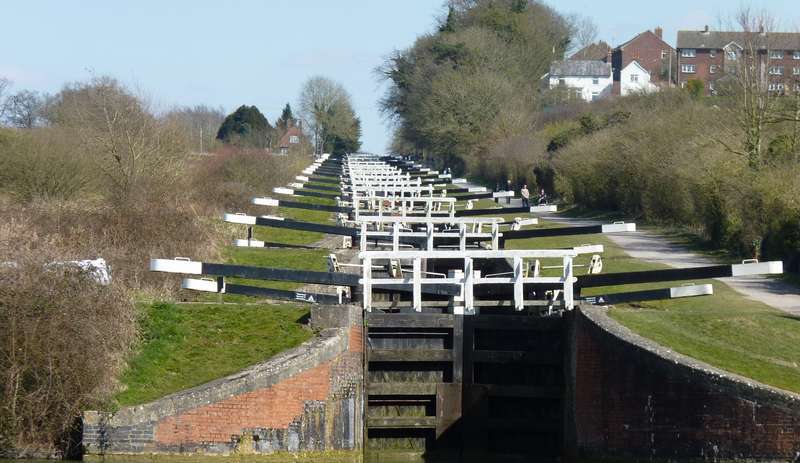 At Caen Hill, you can navigate the biggest continuous flight of locks in the United Kingdom. The 16 locks conceived by engineer John Rennie’s at Caen Hill are just part of the 29 within a 2 mile length. A small museum which reveals the history of the Kennet and Avon Canal over two hundred years from its construction all the way to the present.